named for the yellow color of broom flowers. 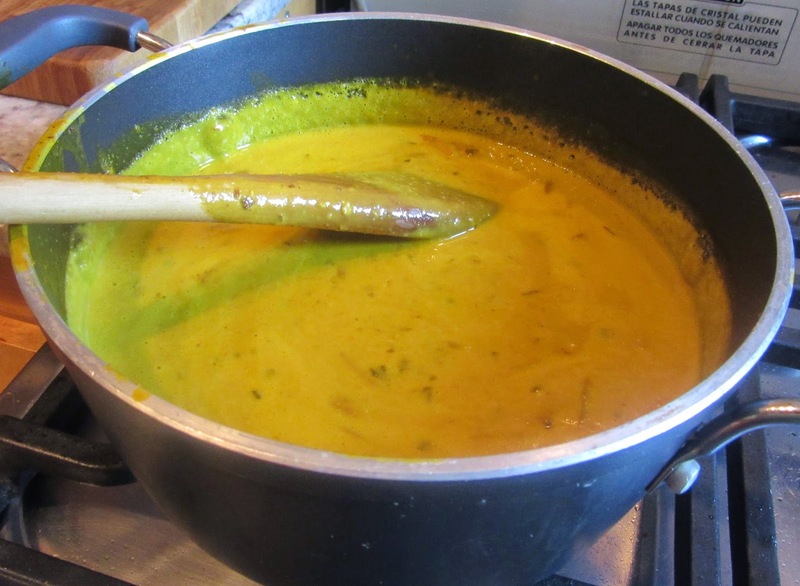 The Spanish versions do not contain broom, while English recipes call for yellow broom buds as decoration but as the Spaniards, the English use saffron to color the pottage. The English version, dating from the 12th C, consists of milk, egg yolks, saffron and yellow broom buds. Henisch explains that Irish fairies ate neither fish nor meat but thrived on messes of milk and saffron. Some versions of the pudding use goat’s milk thickened with rice flour. Sent Sovi’s is an almond milk pottage with rice flour, raisins and pine kernels. Nola’s recipes are basically an almond milk pottage with dates and nuts. When the dish was consumed during Lent, egg yolks were omitted. Nola’s second recipe for broom flower pudding is more complicated than the first as cinnamon, ginger and cloves are soaked in rosewater the night before the pudding is made. 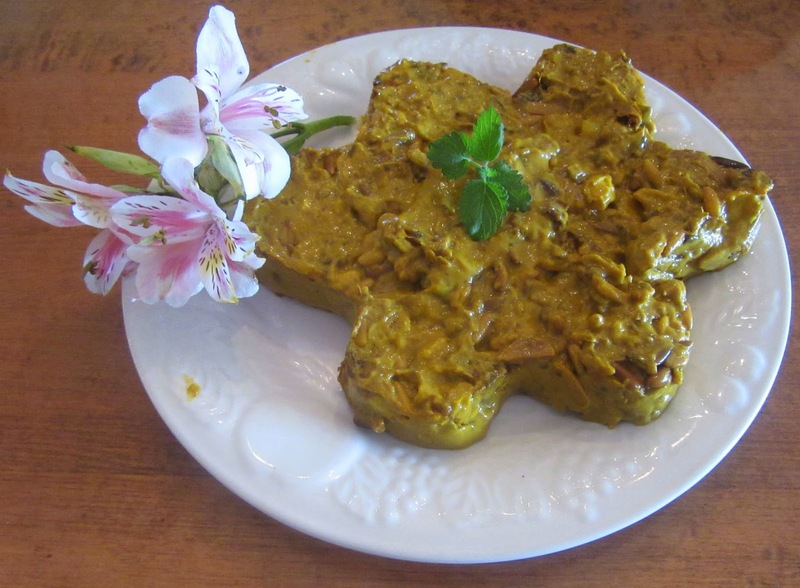 The following day while cooking, pine kernels, quartered blanched almonds and dates are added with rosewater. It was commonly eaten on fast days in the summer. The name "Plantagenet" was originally spelt Plante Genest or Plantegenest and later Plauntegenet or Plantaginet. Orginally, it was a nickname for Count Geoffrey of Anjou, father of King Henry II who ascended the English throne in 1154. This name has traditionally been taken to mean a ‘sprig of broom,' which the count wore in his bonet. See iniesta, piorno, piorno amarillo, piorno serrano and retama negra. Blanch and peel almonds if goat milk is not available, which is better. In the former case, grind almonds in a food processor. Add chicken broth. Strain through a cloth into a saucepan and add flour little by little to avoid clumping and add sugar. Bring to a boil stirring constantly with a wooden spatula. 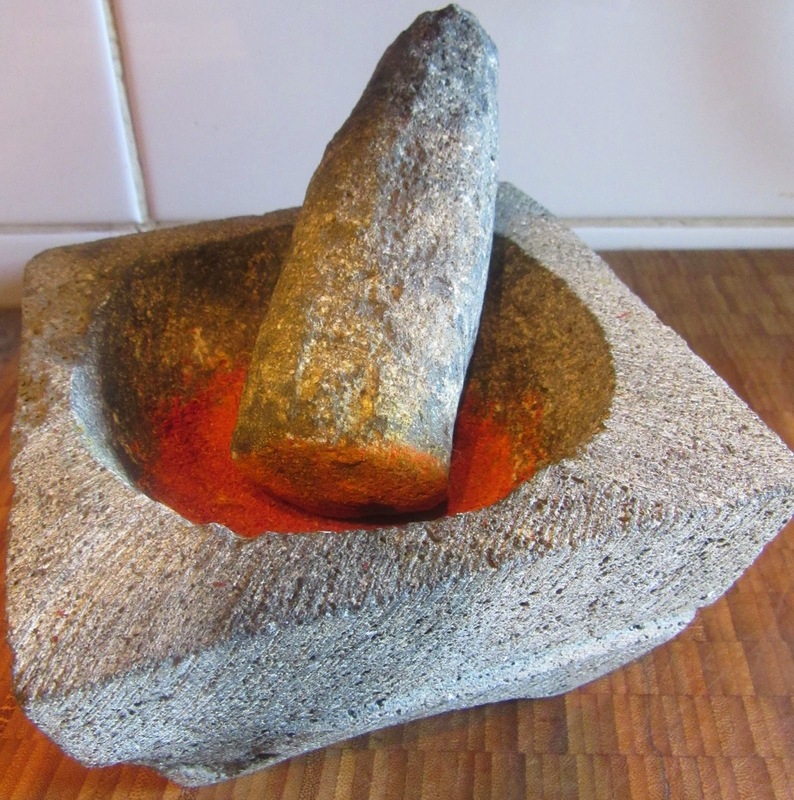 Grind the spices in the rosewater in a mortar or food processor. Add them to the pudding. When half-cooked set aside. Quarter peeled almonds and gently fry them in a little olive oil. Add pine kernels. When toasted remove from heat and wrap in paper towels to remove the excess olive all. Quarter the dates. Mix them together with the pine kernels and slivered almonds and add them to the pot. Mash saffron well and dilute it in liquid. Add this to the pot making the dish colorful. 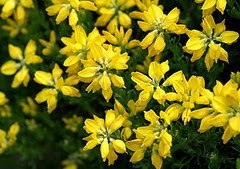 It should be as yellow as broom flowers. Add more mashed and diluted saffron if needed. Cook for a while until thick. If serving this on a meat day, add beaten egg. Cook over low heat, stirring constantly until it thickens. If serving on a fish day, eggs are not added. Garnish with sugar and cinnamon. As dates were not in season when the recipe was made, chopped prunes and dried apricots were used.